Andover, Massachusetts, January 12, 2015 – California Products Corporation, a leading manufacturer of sports surfaces, architectural and environmental containment coatings has announced the acquisition of Latexite International Inc., Premier Concepts Inc., and Guardian Crack Repair Products, LLC. Latexite International Inc. is a manufacturer of Latex-ite®, a sports surface coating system used for tennis, basketball, volleyball, badminton, and other multi-sport uses (Latex-ite® is a registered trademark of Dalton Enterprises, Inc.). Premier Concepts, incorporated in 1989 produces PREMIER COURT®, a patented manufactured composite that provides impact absorbing cushion which minimizes repetitive shock and reduces body stress.Guardian Crack Repair, originated in 2003 is designed to repair tennis court cracks and cracked sport surfaces. Innovators of “peel and seal” crack repair technology, Guardian is an advanced patented crack repair system used on thousands of asphalt and concrete surfaces around the world. Their products can be found in a wide variety of markets: national stadiums, international tennis venues, resorts, clubs, schools, colleges, and private residences. 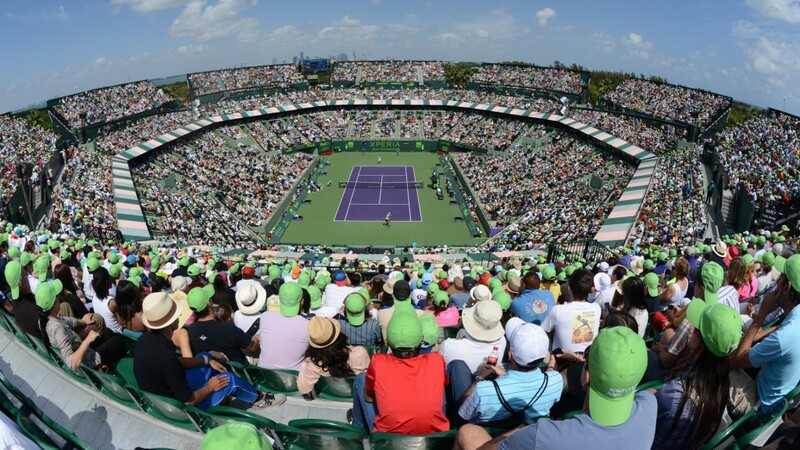 These tennis surfaces have been selected at some of the world’s most prestigious events, including the Memphis Open, the International Premier Tennis League, Davis Cup and Fed Cup ties, and at many of the finest facilities around the globe. “This renews our commitment to providing quality products and exceptional service to today’s ever growing global tennis market”, remarked Andrew Schweibold, managing partner at Delos Capital, who owns California Products Corporation. The acquisition of these brands strengthens the sports surfacing products provided by California Sports Surfaces (CSS) which includes Plexipave®, the surface of the Australian Open since 2008, DecoTurf® the surface of the US Open since 1978, Rebound Ace® the surface of the Asian Games, and Plexitrac® a superior track surface system for full performance athletic facilities. “This transaction offers a strategic fit that will add new products, brands, geographies and distribution channels to our existing footprint,” states California Products’ Chairman and CEO, Peter Longo. “We are committed to expansion and business augmentation. We will continue to seek out new market opportunities to advance our brands and products,” added Steven McMenamin the Company’s COO. John Graham, Managing Director of CSS is pleased to announce that several individuals including Chris Rossi, President of Premier Concepts will be joining the California Sports Surfaces team in the areas of sales, customer service, distribution, and technical support. “We are very pleased to be joining CSS and the three most recognized tennis brands in the industry,” said Mr. Rossi, “Our brands are the perfect complement to Plexipave®, DecoTurf® and Rebound Ace®.” The acquisition will add to California Sports Surfaces’ offerings. All of the products will be manufactured by California Products 160,000 square foot state of the art manufacturing facility to facilitate growth and efficiencies throughout the United States and the world. This entry was posted in California Sports Surfaces, Guardian, Premier Court, Premier Sports Coatings®. Bookmark the permalink.